Trimetals Managing Director Garry Smith with the Dorset based company’s top selling Bicycle Store product. “Pedalling” their wares overseas with significant success has just won Trimetals the Queen’s Award for International Trade. The impressive export achievements of Trimetals have been recognised in this year’s Queen’s Awards for Enterprise. 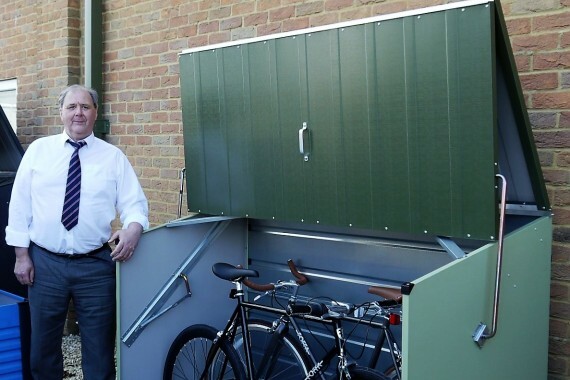 The Dorset based specialist metal storage manufacturer receives the prestigious Queen’s Award for International Trade having demonstrated significant and sustained growth in global markets.